Check out my skincare regimen for Neutrogena's Beautiful Inside and Out campaign. 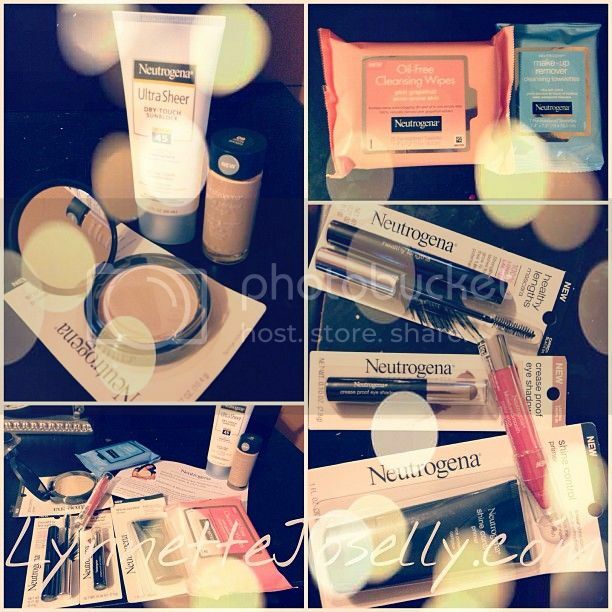 As you have seen in my previous makeup tutorials I am pretty much loyal to Neutrogena products. Being that my skin is a combination of oily and dry, I have notice when I switched to this brand I no longer have acne break outs. When I wear Neutrogena's foundation and powder, I feel refreshed versus feeling oily and sticky. The makeup is lightweight and does not clog up my pores which is why I love it! Step 1: Cleansing In One Easy Step: To begin the skincare regimen I used the Makeup Remover Cleaning Towelettes to remove any dirt, oil and makeup I already had on. This makeup remover even removes water proof mascara in which not a lot of other towelettes are capable of doing. Then I used the Oil-Free Pink Grapefruit Cleansing Wipes to cleanse out my skin. The best thing about these is not only do they smell amazing but it is not necessary to rinse after you have used them since they don't leave any greasy residue behind. Step 2: Moisturize After Cleansing: Even if you are not going to the beach it is important to apply sunscreen daily. The Ultra Sheer is lightweight and does not leave an oily finish. Step 3: Shine Free Base Makeup: Next, add Shine Control Primer as a base for your makeup to last longer. Followed by Shine Control Makeup which is perfect for a natural looking coverage. This foundation does not leave your skin feeling oily and is said to last about 8 hours. Lastly, set your foundation with Shine Control Powder. Step 4: Long-Lasting Eye Makeup: Creamy shadows always work best as a base since they are super long-lasting. This Crease Proof Eye Shadow comes in different pearly pigments and will instantly revive and brighten your eyes. Now you can make your eyes pop even more with the Healthy Lengths Mascara. In the video you can see the before and after, in which it really does make my lashes look 100% longer! Step 5: Conditioning Lip Color: Lastly, the lips! The MoistureSmooth Color Stick improves the texture of your lips so they feel extra soft and smooth over time. This balm also has a bit of sheer shine and is said to last for hours.